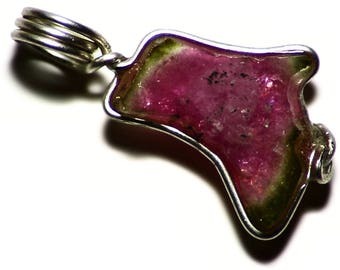 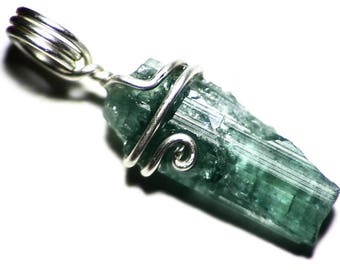 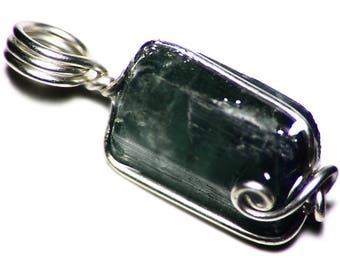 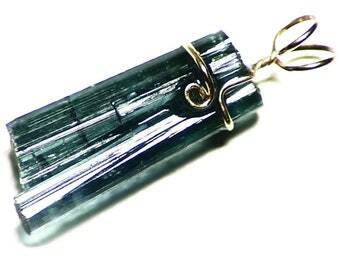 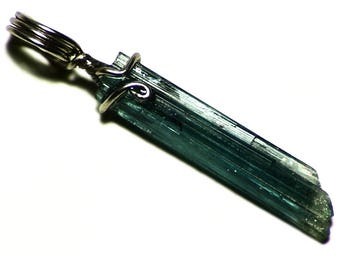 This pendant features a raw crystal of blue and black indicolite tourmaline. 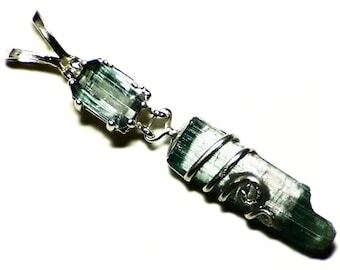 The stone measures 1.08 x 0.17 inches (27.3 x 4.3 mm) and weighs in at 4.1 ct.
Indicolite is the blue variety of the gem tourmaline, which is famous especially for its intense, inky blue colors. 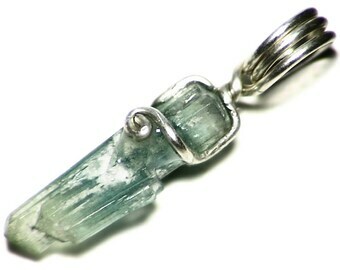 This is a very intense blue with a different tone from most other blue gems. 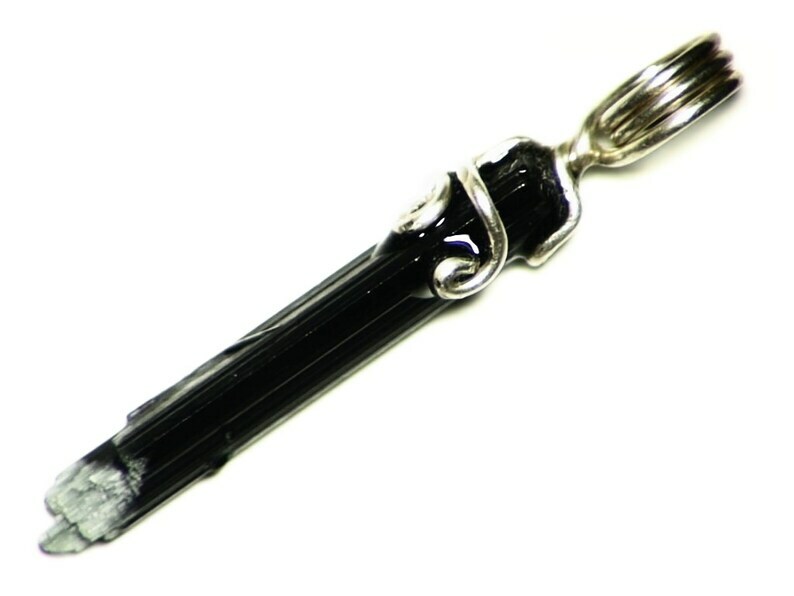 This stone is a great example, with a black base capped with blue, with a dark purple-black rind around the black which is visible when strongly lit. 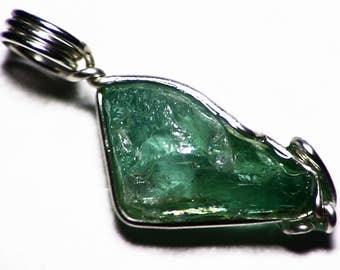 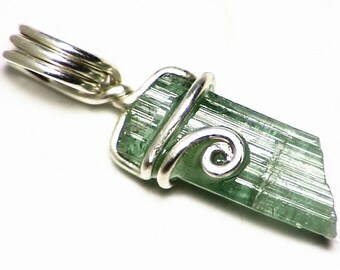 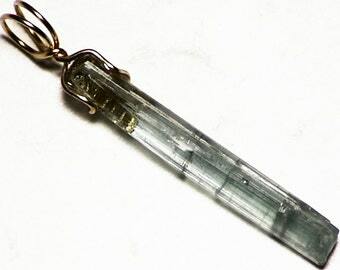 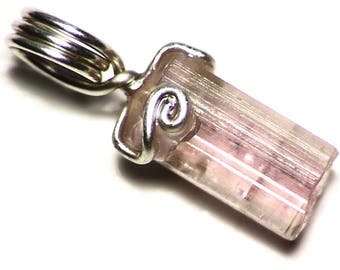 It has bright, striated crystal faces and is overall a beautiful gem.